In a few weeks, law enforcement officials from across the continent will convene in Columbus, Ohio, to participate in the Commercial Vehicle Safety Alliance’s North American Inspectors Championship. The competition, in which contenders complete a written test and a vehicle inspection, will be held Aug. 14-18 in Ohio’s capital. The biggest difference attendees can expect during this year’s competition is that the awards ceremony in which the top inspector is named will coincide with the National Truck Driving Championships’ awards banquet. NTDC, hosted by American Trucking Associations, challenges the best truck drivers in the country with a written exam, driving exercises and pre-trip inspections. Fifty-two competitors representing the United States, Canada and Mexico will attend this year’s championship. After a series of orientation sessions the first day of the competition, inspectors will have the opportunity to attend a general session the morning of Aug. 15. Speakers at the general session will include Ohio State Highway Patrol Superintendent Paul Pride, Kansas Highway Patrol Capt. Christopher Turner and Federal Motor Carrier Safety Administration Chief Safety Officer Jack Van Steenburg. Rommel Garcia, the officer with the Houston Police Department who was named grand champion last year, also will deliver remarks during the general session. Garcia will not be competing in accordance with CVSA policy, which states that winners cannot compete again. Besides delivering remarks, he will help judge the event. 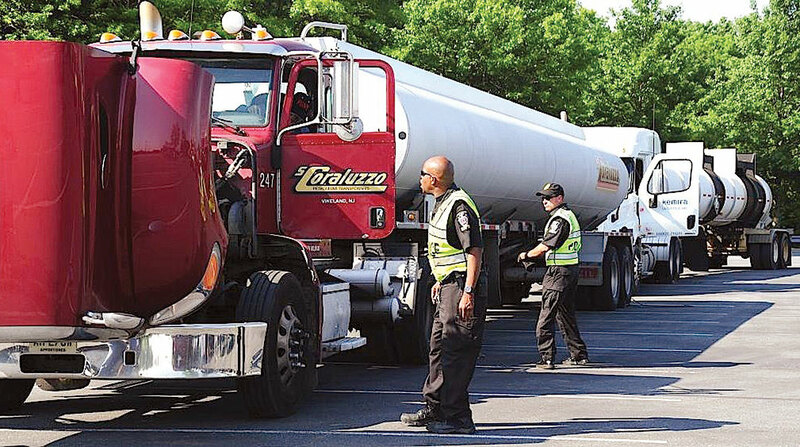 For the inspection practical, the competition runners set up about eight trucks and motorcoaches and create the same violations on each vehicle. Participants inspect one vehicle while the other members of his or her competition pool do the same with other vehicles. Garcia, who ran out of time during his inspection in the 2016 competition in Indianapolis, urged participants to be systematic as a way of maximizing time. He said he was more relaxed for the 2017 competition, which he won. Garcia also encouraged inspectors to take advantage of the training sessions, which he said came in handy for both the competition and his everyday roadside inspections. Wirachowsky, who competed in 2001, said Aug. 18 will be the busiest and toughest day of the competition. The day begins at 5:30 a.m. with a staff meeting, which is followed by breakfast. Competition begins at 8 a.m. and is over by 2 p.m., at which point the competition runners tear down the equipment to be ready for the joint awards ceremony at 6:15 p.m.